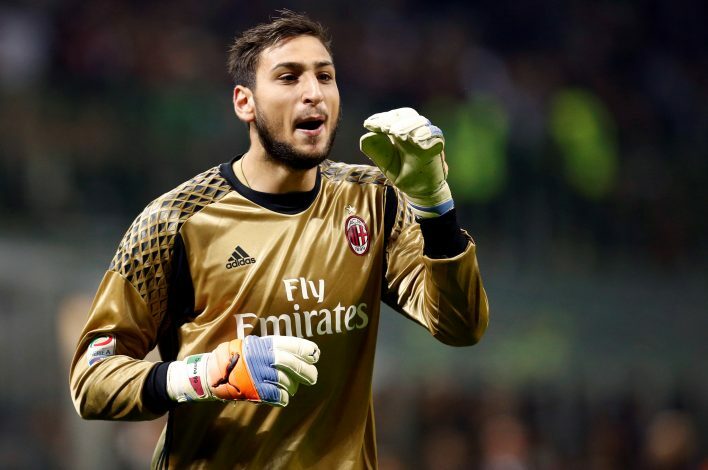 Gianluigi Donnarumma has agreed to extend his contract with AC Milan until 2021, the Italian club has confirmed. After months of speculation surrounding the goalkeeper’s future, the young prodigy has finally committed himself to his boyhood club, ignoring interest from several European powerhouses, including the likes of Man Utd and Real Madrid, in the process. The Italy international looked set to head out of the San Siro outfit and join up with one of his suitors, but he has now revealed that he never intended to part ways with Milan in the first place. Moreover, the youngster, who was showered with fake cash by the club supporters during Italy’s match against Denmark at the European Under-21 Championship in Poland last month, has now apologised to the Rossoneri faithful for the months of speculation and the delay in the confirmation. The 18-year-old told the reporters: “I was raised at this club and I never had any doubts in my head about staying. I’m very happy and proud to be with Milan. The promising shot-stopper, dubbed by many as the next Gigi Buffon, will now continue to be a part of the AC Milan revolution, as their team of youngsters will attempt to bring the famous Italian club back to the top of European football.